South Carolina running back Marcus Lattimore has had his career derailed twice by knee injuries. He tore his ACL in 2011 and had it reconstructed hoping to return to form and get his NFL dreams back on track. He looked like a big time prospect again in 2012 but suffered another horrific knee injury that resulted in surgery to repair his ACL, PCL, and LCL. Lattimore is working to get himself back on the field and should be a mid round pick in this years NFL draft. Any team that takes him will most likely use the 2013 season as a red shirt type year in hopes Lattimore can help their team in 2014. That scenario is the reason he makes so much sense for the San Francisco 49ers. On Tuesday, Lattimore told the Dan Patrick Show that the 49ers are one of the teams showing him the most love. Baring injuries, it would be next to impossible for any running back the 49ers take in the draft to see the field this season because they are so loaded at the position. With Frank Gore, Kendall Hunter, and LaMichael James all on the roster, there will barely be enough carries to go around as it is. But Gore will be playing this season at 30 years old. Even though he hasn’t shown any signs of really slowing down, 30 is when running backs tend to hit a wall. Taking a flyer on Lattimore (with the hopes he can play himself into the rotation in 2014) would give the 49ers another option should they part ways with Gore after the season. With Lattimore, Hunter and James all in the mix, the 49ers could have three productive backs at low salaries which would allow them to allocate more cap space to resign Colin Kapernick and Aldon Smith. 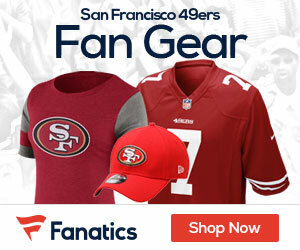 Be the first to comment on "49er’s interest in Marcus Lattimore makes sense long term"